Osteopath, Dr Bernadette Dlabik completed a Bachelor degree in Clinical Science and a Masters in Osteopathic Medicine and is a member of the Australian Osteopathic Association. Bernadette’s personal experience of the benefits of osteopathy arose due to a knee injury sustained whilst competing in a roller derby competition. Months of immobility led her to seek treatment from an osteopath. This treatment helped relieve her pain and restore normal function. It was this life-changing experience that initially inspired Bernadette’s passion for osteopathy and she soon realised that she wanted to learn all there was to know about the art and science that is, osteopathy, so that she too could help others in the same way she had been, all those years ago. 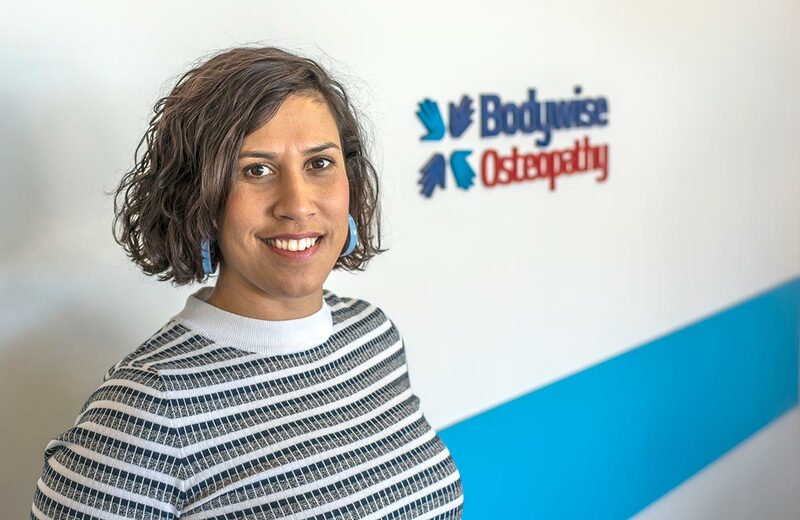 When asked what she loves most about being an osteopath, Bernadette stated “I would have to say I am most passionate about how osteopathy can assist patients to achieve their personal goals in health and well-being. I love being able to apply my training and all those years of studying extensive anatomy, physiology, neurology and nutrition alongside well-developed osteopathic techniques so I can encourage the body’s own self-healing mechanisms to create an optimum environment for restoring and maximising ongoing good health. For me, the love of osteopathy comes from applying my theoretical knowledge into really positive health and mobility outcomes for my patients”. Bernadette’s treatment style is patient-centred and therefore tailored to the needs of each individual. It will be specifically aimed at alleviating your presenting symptoms by addressing the underlying causes of your pain and discomfort by improving mobility and subsequently improving your sense of well-being and confidence to move without fear of aggravation of pain. This will be achieved using a variety of hands-on techniques including specific spine, joint and muscle manipulation. Additionally, in order to help you manage your own symptoms, Bernadette may often provide tailored exercise prescription advice. Bernadette’s osteopathic history has reflected a strong interest in community health that has seen her donate her osteopathic skills in events such as the Koori Rugby Knockout as well as volunteering in remote villages of Papua New Guinea. If you don’t find Bernadette in her treatment room, you’ll likely find her at these community based events or out enjoying nature.